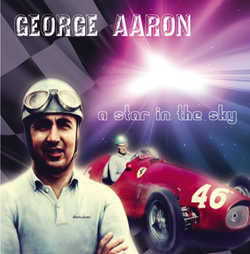 George Aaron is back with another hit; A Star In The Sky. After his great performance at the I Venti party in Milano last May, we knew George had to do a new track on our label. A Star In The Sky is a song about the last Italian Formula One World Champion Alberto Ascari. The pace, beauty and power of a F1-car fits the pace, power and beauty of this song. And the fantastic artwork deserves to be framed in your living room above the sofa 🙂 This record comes with a vocal version and a dubversion of A Star In The Sky. And as a bonustrack we added the popular track Heaven (Clouds Mix). Some classics are so well known, that you can’t imagine the record is hard to find. 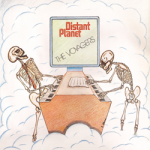 The Voyagers – Distant Planet is such a disc. You can’t afford to miss this masterpiece in your collection. But where to buy for a descent price??? Well here, at I Venti D’Azzurro Records. The official re-issue of this fantastic song is now available on black vinyl and transparent vinyl and the epic artwork. 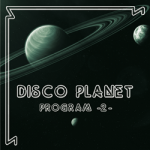 The Disco Planet saga continues…. The second episode in this compilation series is another blast from the past. 4 vintage powertracks on one vinyl. We kick of with probably the most famous female voice in Italoland… Under the name Eleonora Espago she sings the classic Flash In The Night. The Savino remix of this track screams for powerfull speakers. Eddy Mi Ami created an ode to the Breakout Crew with Breakout Memories; an instrumental floorfiller. The mysterious Videogirl opens the other side with Optical Illusions. Classic Italo Disco with an edge. The last track is the Flemming Dalum Remix of the (Re-)Flexx song: Carry Out. This song once appeared on a soundtrack in a short version. Now you have the full mix. This is your chance to get these unique records for just EUR 17,90 with full color picture sleeve!